Why take a World Cruise? Imagine traveling to multiple continents and exploring dozens of ports while only unpacking once. It’s a world of wonder, dazzling sights, sumptuous cuisine and fascinating guests who are invited on board your ship to provide insight about the many places you visit. It’s a home away from home, perfect for escaping the every day, and a way to meet other people who share your interest in seeing more of the world. Here’s a look at the World Cruises departing in 2020. More will be added as they are announced. 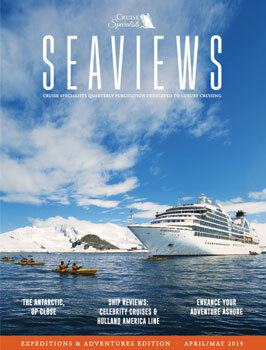 Voted 'Best Cruise Itineraries' 11 times by Recommend Magazine.